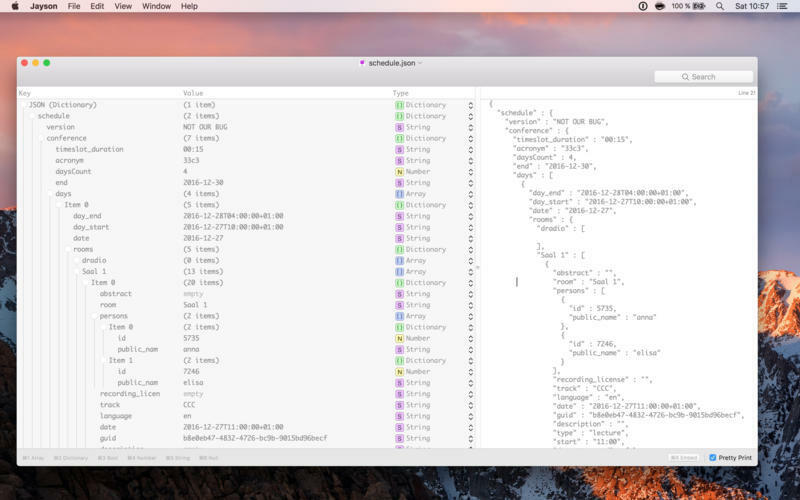 Display the contents of a JSON file in an outline view. Is there a better alternative to Jayson? Is Jayson really the best app in Developer Tools category? Will Jayson work good on macOS 10.13.4? Jayson displays the contents of a JSON file in an outline view. Why is that such a big deal? 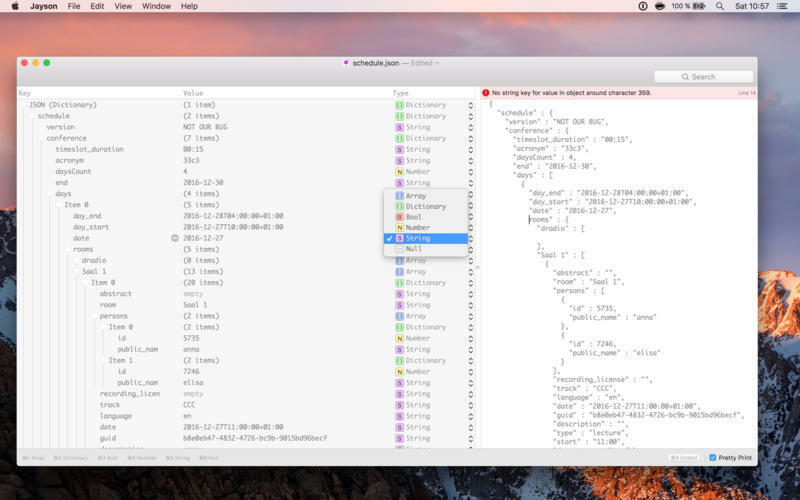 Well, you already know how to use an outline view, as it is a standard macOS control used in Finder, Xcode, and many other apps. You intuitively know how to use the most important features, though there are many small hidden features that will make your life easier. Jayson needs a rating. Be the first to rate this app and get the discussion started!